Do you have an extra garage that you just don’t need anymore? Perhaps you’d like to expand your home, or maybe your current garage is outdated and dilapidated. Regardless of your situation, we have the solution. Count on us to demolish your garage, and any of the other buildings on your property. If you’re on the fence about demolishing your garage, we’re here to convince you that it’s time. 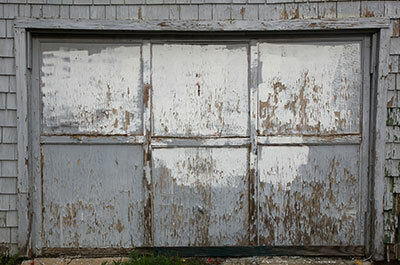 If you have an old garage whose structure is failing, it can be a hazard to your property and any passersby. In addition, if your garage is simply inoperable (garage doors often jam if the garage shifts and settles), or if you have a severely cracked garage slab, demolition may be your best option. When it comes to demolition, we pull out all of the stops. We’ll see your project through from start to finish, and from planning to execution. We do our utmost to plan your demolition to ensure that you, your property, other residents, and our workers are safe. With the heavy machinery we use, demolition is safe, and it’s a snap. We’ll bring in big rigs, including excavators and bulldozers (as necessary) to make your garage demolition simple and swift. Our services don’t stop there. You can pair our demolition services with excavation, tree removal, or lot grading to prepare your property for your next project. We provide concrete removal too, if you have a driveway that you’d like to demolish as well. Here at JRP Tree & Demolition, our crew is experienced, organized, and well-trained to perform demolitions; plus, we’re bonded and insured. We are a family owned and operated company, and our crew brings decades of experience to the table. You can rest assured, knowing that our crew will do our utmost to transform your property as you’d like. Check out client testimonials about our previous demolitions, and when you’re ready to get started, don’t hesitate to get in touch with us to get a free quote!